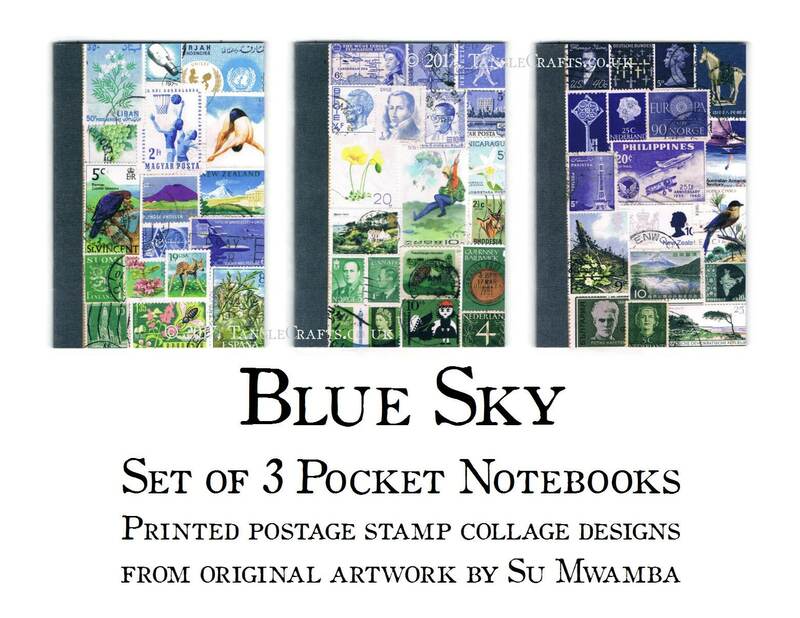 Set comprises one each of the 3 abstract landscape designs shown, printed front and back with one of my original postage stamp collages in shades of sky blue and grassy greens. 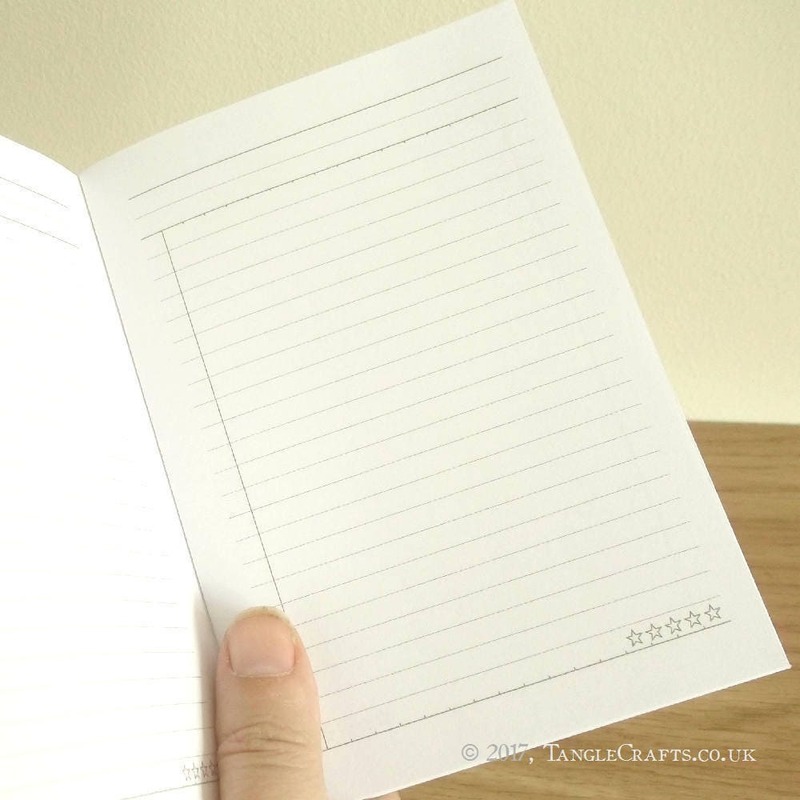 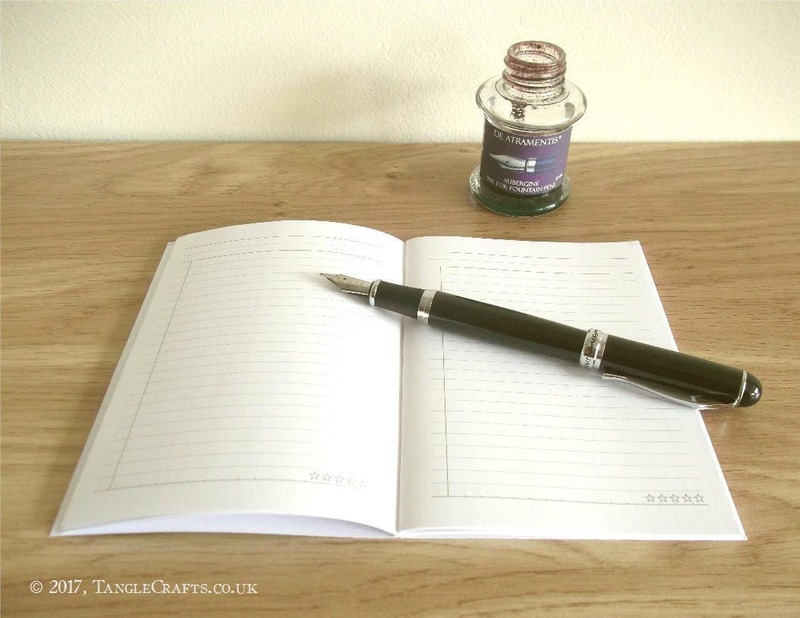 The adaptable inner page layout (also designed by TangleCrafts) makes them perfect for to-do lists, everyday notes, book reviews – almost anything you like. 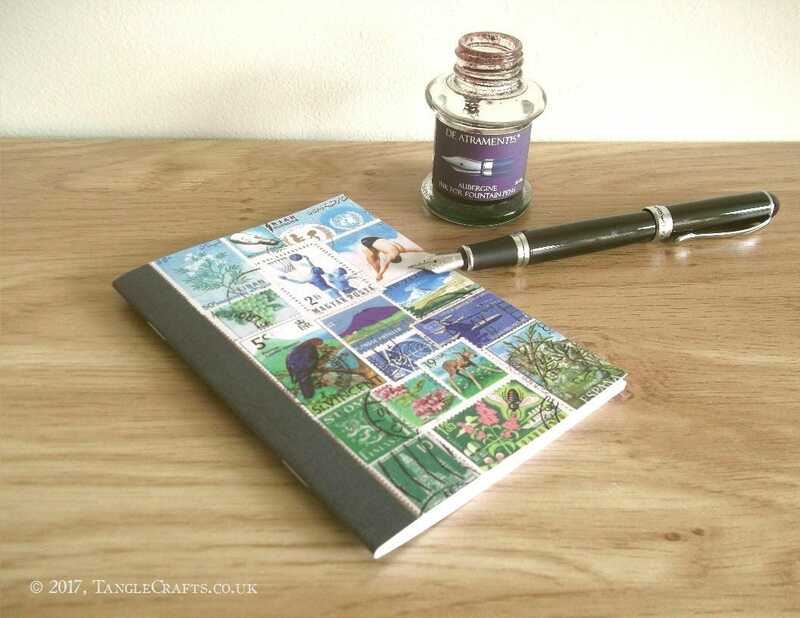 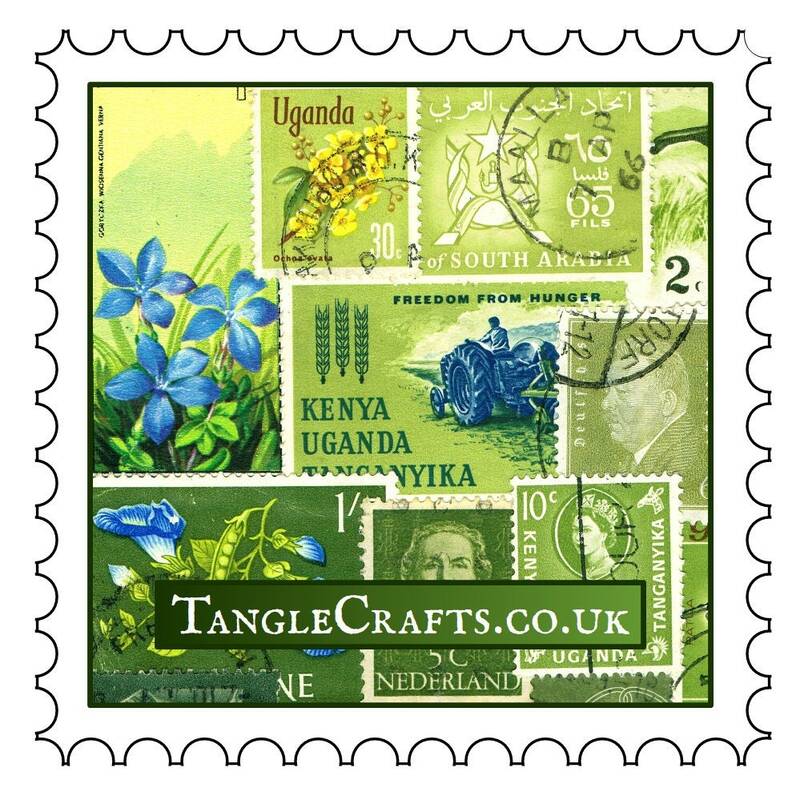 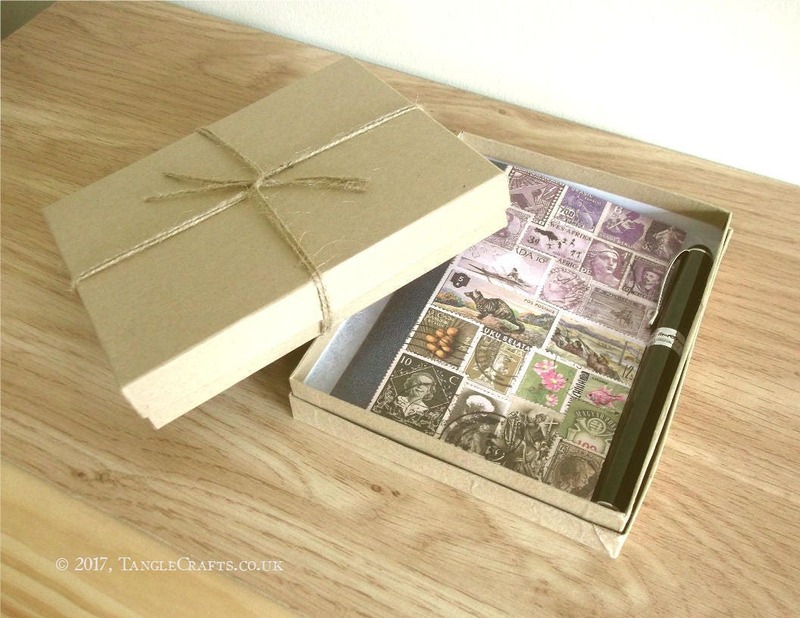 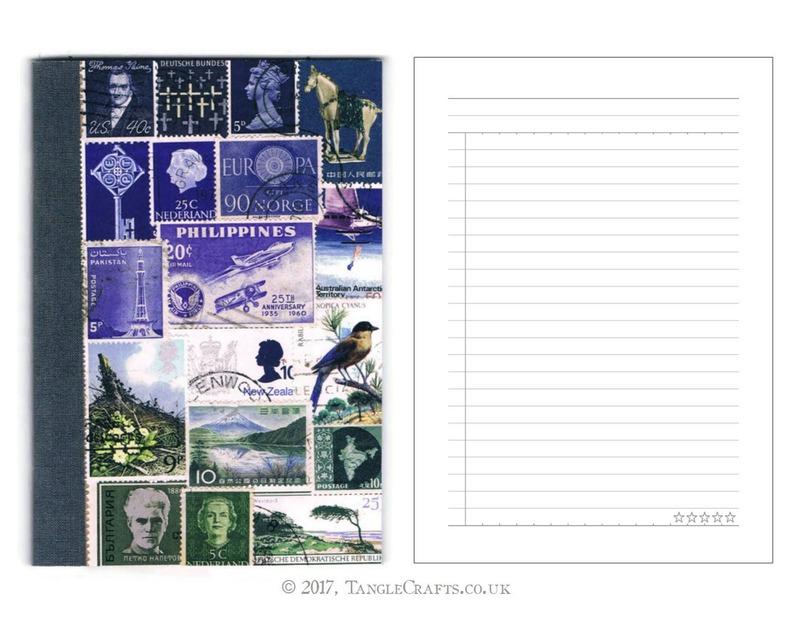 A great stocking filler or fun any-time gift for your favourite penpal or philatelist! 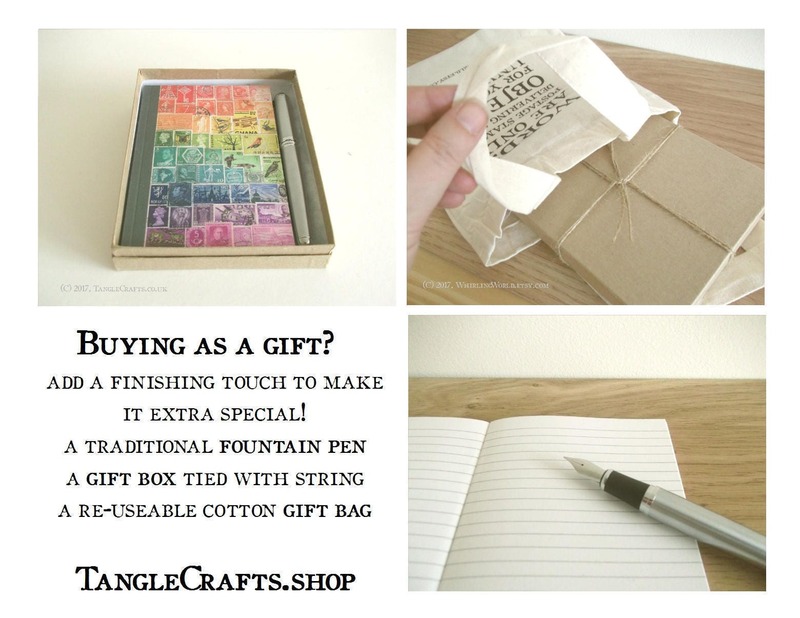 Great transaction! 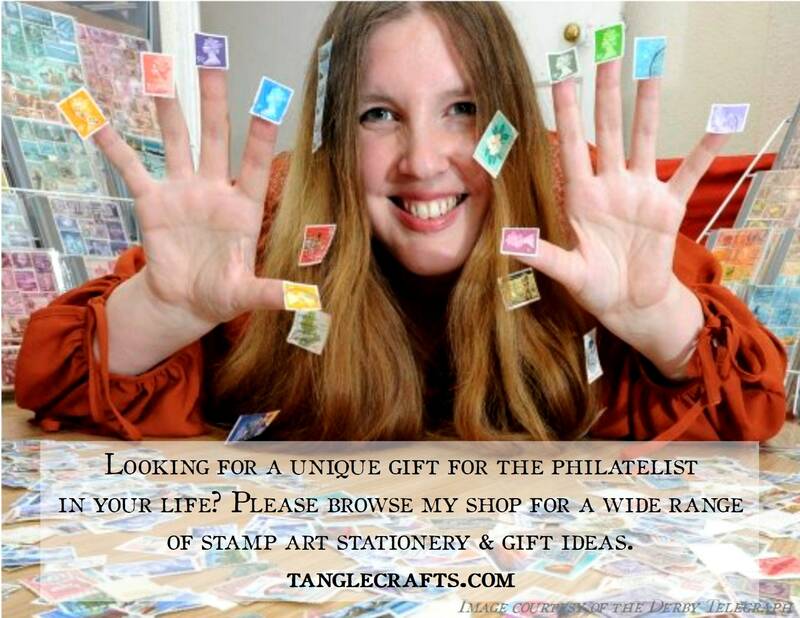 Will shop again!